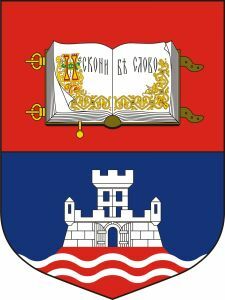 University of Belgrade is the oldest and the largest university in Serbia, founded in 1808. The University comprises 31 faculties, 12 research institutes, the university library, and 9 university centers. The faculties are organized into 4 groups: social sciences and humanities; medical sciences; natural sciences and mathematics; and technological sciences. On the prestigious Shanghai Ranking (ARWU), the University of Belgrade ranks between 201st and 300th place, according to the most recent (2016) global ranking. In 2014 it ranked 151-200 specifically in the areas of mathematics and physics. The Faculty of Transport and Traffic Engineering, as one of the faculties of University of Belgrade represents the oldest scientific, educational and research institution in the field of transportation science/researches in Serbia, founded in 1950. It has 6 Departments, including Railway, Urban and Road, Waterway and Air Transport and Traffic, Logistics, Postal and Telecommunication Traffic and Networks, and conducts Bachelor, Master and Doctoral studies. The main objectives of the Faculty, apart of educational programs, are to promote applied research, new methodologies and technologies and with the participation of eminent experts, provide a superior solutions in the area of transportation engineering. Faculty with its environment, human and technical resources, extensive experience and references, provides high quality interdisciplinary expert solutions for traffic, transport and communications. Institute of Transport and Traffic Engineering is an interdisciplinary research organization within the Faculty of Transportation, University of Belgrade, primarily oriented at solving the problem from all forms of traffic, transport and communications. Status of the Institute provides full independence in setting up teams of experts in solving specific problems. For each specific problem an interdisciplinary team of experts (in a specific area) of the Institute is formed and the project manager is determined. The flexibility of the Institute considering the complexity of problems in the field of traffic and transport allows the inclusion, as appropriate, experts from other research organizations from home and abroad. The Institute specializes in research in all areas of traffic and transportation. This includes research and definition of requirements for transport, traffic flow characteristics, research of passenger and cargo flows, the study of user behavior characteristics, development of simulation models in traffic and transport, before and after the study, development of expert systems, use of IT in traffic, transport and communications, etc. Dr. Nebojša Bojović: Dean of the Faculty of Transport and Traffic Engineering; Professional expertise, research and teaching interests include applications of operations research, information systems and control theory in transportation systems with particular emphasis on: rail freight car fleet sizing, railway vehicle routing and scheduling, risk management, and project management. Miloš Milenković: Assistant Professor; rail transport planning, rail transport economy, inter-modal transport, smart rail, operations research applied in rail transport, model predictive control, fuzzy and fuzzy stochastic rail inventory control, time series analysis, project management, mathematical optimization problems. Sc. Marko Kapetanović: Teaching and Research Assistant; rail economics, cost efficiency in rail transport, rail appraisals evaluating (PW, IRR, EAW, CBA), revenue management in rail freight transport, rail capacity allocation, mathematical optimization. Dragana Macura: Associate professor; project management, marketing, organizational structure and management of rail transport companies, rail infrastructure investments management, multicriteria decision making. Nikola Knežević: Assistant Professor; strategic management in (rail) transport and communications, investments management in (rail) transport and communications, organizational design. Srđan Rusov: Full Professor; Running gear dynamics, wheel-rail interaction, railway dynamics. Zoran Avramović: Associate Professor; railway interlocking, ITS, railway safety and security, ERTMS, ETCS. Dragutin Kostić: Full Professor; railway energy consumption, electric rail vehicles, energy efficiency, simulation and measurements. Sc. Petar Marković: Teaching and Research Assistant; electric vehicles, railway energy consumption, laboratory measurements and simulation. Dragomir Mandić: Full Professor; railway traffic organization and management, railway traction dynamics and management, project management. Predrag Jovanović: Assistant Professor; railway capacity and traffic management, railway scheduling, railway timetabling, traffic simulation and modeling. Mirjana Bugarinović: Assistant Professor; infrastructure access charges, public service obligations, rail urban systems. Branislav Bošković: Associate Professor; railway freight transport, railway market regulation, public service obligation, transport policy. Sc. Nikola Stojadinović: Teaching and Research Assistant; transport economics in railways, railway capacity allocation, auctions for congestion management, infrastructure access charges. Slavko Vesković: Full Professor; railway freight and passengers transport management, railway traffic control, railway rolling stock management, strategic management. Sanjin Milinković: Assistant Professor; railway traffic control, rail passengers and freight transport modeling, evolutionary algorithms, genetic programming, graph theory, Petri nets. Milan Marković: Full Professor; railway traffic management and control, railway safety and security, railway accident investigation, risk management. Norbert Pavlović: Assistant Professor; railway safety and security, railway accident investigation, railway risk analysis, fault tree analysis. Miloš Ivić: Full Professor; railway infrastructure construction and maintenance, railway infrastructure projects, railway nodes planning, freight and passengers stations management. Ivan Belošević: Assistant Professor; railway infrastructure, railway capacity allocation, yards management, single wagon load management. Milana Kosijer: Assistant Professor; railway infrastructure projects, railway infrastructure construction.